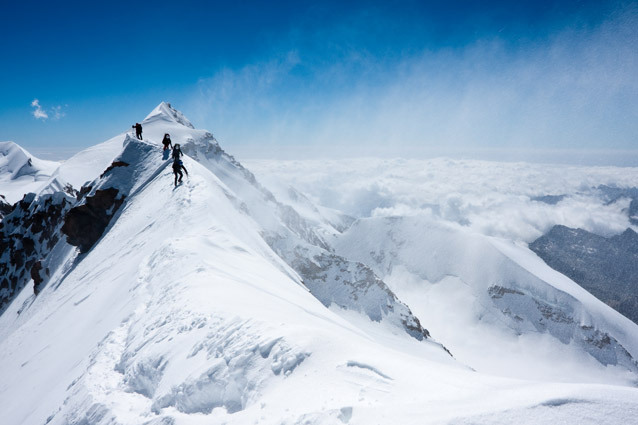 O’ the weather outside is frightful, but that’s no reason to stop climbing until next spring. That’s how the song goes, right? 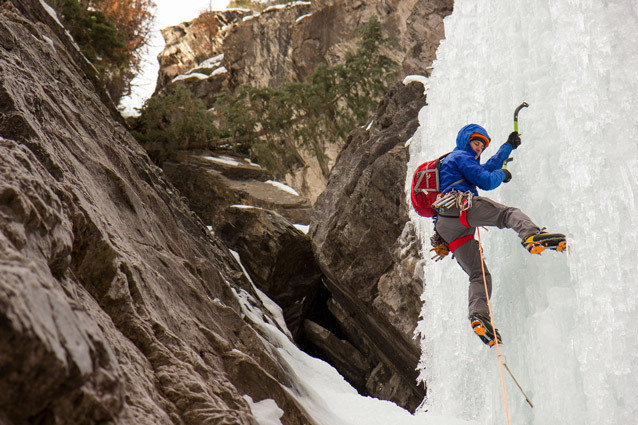 Either way, here are 5 ways to get your climbing fix—even in cold temperatures. One of the most obvious choices in winter months. When rock is shrouded by ice, put your climbing shoes away and grab ice axes and crampons instead. 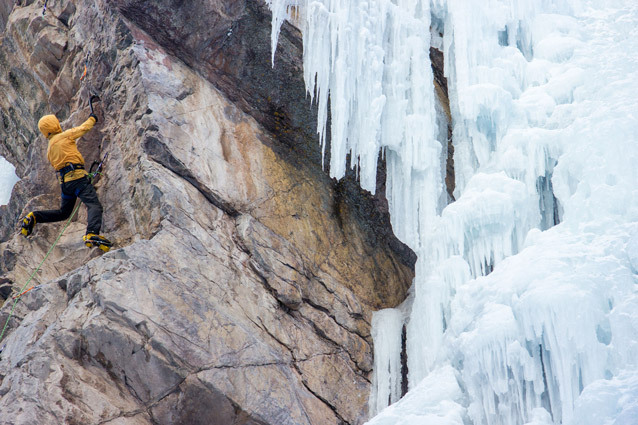 Ice and mixed climbing (spoiler: more on that next) are some of the fast growing segments of the climbing world. If you’ve never done it before, there are a few more pieces of gear you might not have in your arsenal. You’ll need some technical ice axes (go with Grivel X-Monster Ice Tools) and a pair of crampons (we like Petzl Irvis 10-Point Crampons) at the very least. Both of these Active Junky recommendations are solid entry-level choices and leave room to grow as your skill increases. Of course, there are other specialty pieces of equipment you’ll need, but for now, ask your ice climbing friends to set some top ropes for you and “show you the ropes,” as they say. The marriage of ice climbing and rock climbing is called “mixed” climbing. You’ll still need ice axe and crampons, but instead of climbing exclusively on ice, you’ll also spend some time using your tools on dry rock. Of course, swinging your ice axe into solid rock is not only incredibly destructive, but horrendously ineffective as well. Instead of swinging, you’ll spend your time gently placing your picks and crampon teeth on tiny little ledges that sometimes aren’t climbable with fingers and shoes alone. This is pretty much the ultimate definition of all-mountain badassery. You need to be equipped to handle anything the mountain can throw at you: crevasses, avalanches, ice climbing, rock climbing, blizzards, etc. You need to be on your A-game. Many people prefer to “skin” into their climbing destination. After the approach, that’s generally when you’ll need that climbing gear. You have to be comfortable placing protection in ice as well as rock and transition between the two, sometimes on the same pitch. That also goes for switching back and forth between using your tools and your hands. And, since you brought your skis all that way, you might as well pick a line that lets you ski all the way back down. Ice tools can be expensive, partners are hard to come by and alpine climbing certainly takes a lot of skill and safety precautions. If climbing outside in the winter is going to be too tough, you can always get a membership to the local climbing gym. 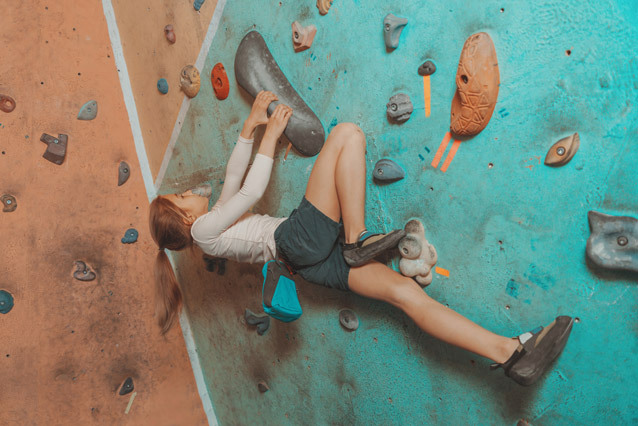 According to an article in the Climbing Business Journal in 2014, there are 353 commercial climbing gyms across the U.S., with more official gyms opening in 2015 and even more flying under the radar. Climbing gyms offer a great opportunity to work on your weaknesses during the outdoor off-season. Many of the better gyms also come with a weight room, free fitness classes and locker rooms with showers. That’s right, go where it’s warm! Our favorite staff picks are Thailand, Greece, Mexico and Spain. Australia is certainly a contender, too, but it’s a little more expensive to get there. 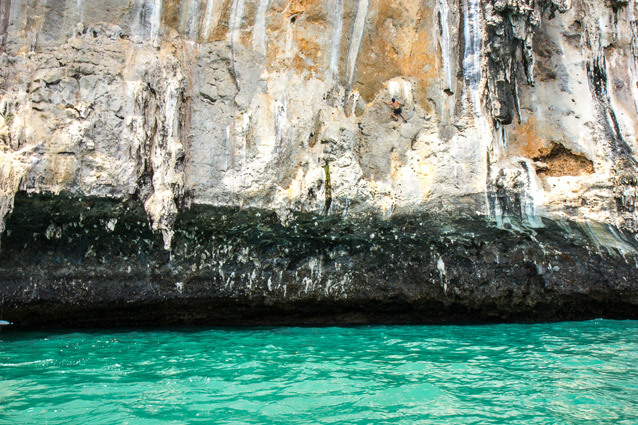 Thailand and Greece offer some of the most fun deep water soloing in the world. Enjoy the small village vibe of Hidalgo while climbing at El Potrero Chico in Mexico. And of course, Spain has some of the best limestone this earth has to offer. You can’t go wrong with any of these places. If you’re set on jetting to warmer weather this winter, here are some Active Junky tips for planning an epic climbing trip.